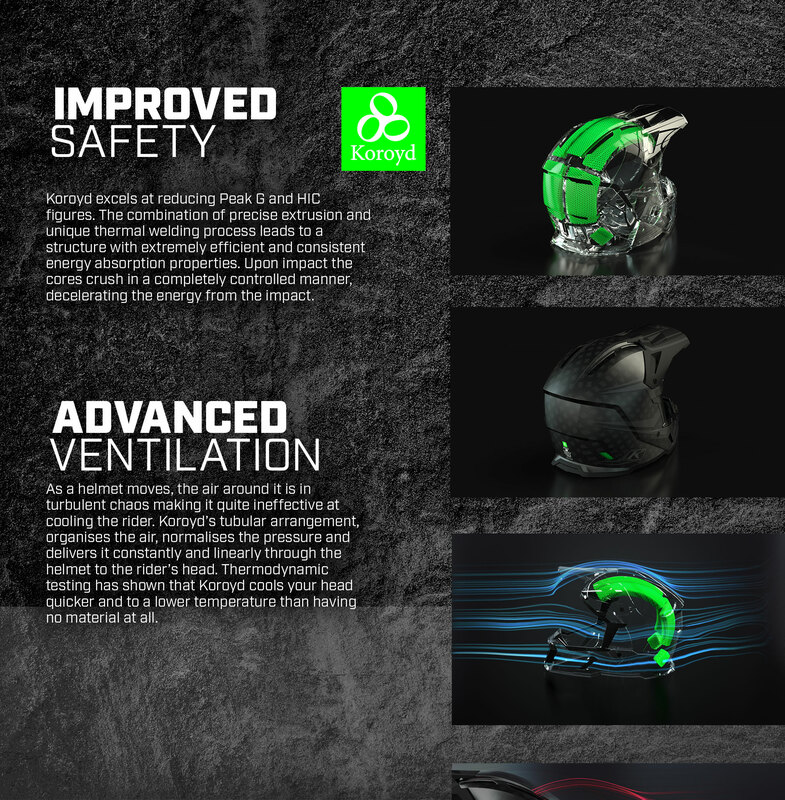 Bagikan informasi tentang KLIM F5 KOROYD HELMET ECE/DOT CHASM ORANGE kepada teman atau kerabat Anda. UNRIVALED COMFORTBuilt on the F5 chassis and adding to its engineered capability to provide all-day comfort, the F5 Koroyd adds the next level of safety and ventilation technologies to provide an unprecedented combination of protection, reduced weight and enhanced ventilation and carries the DOT certification for on-road use. 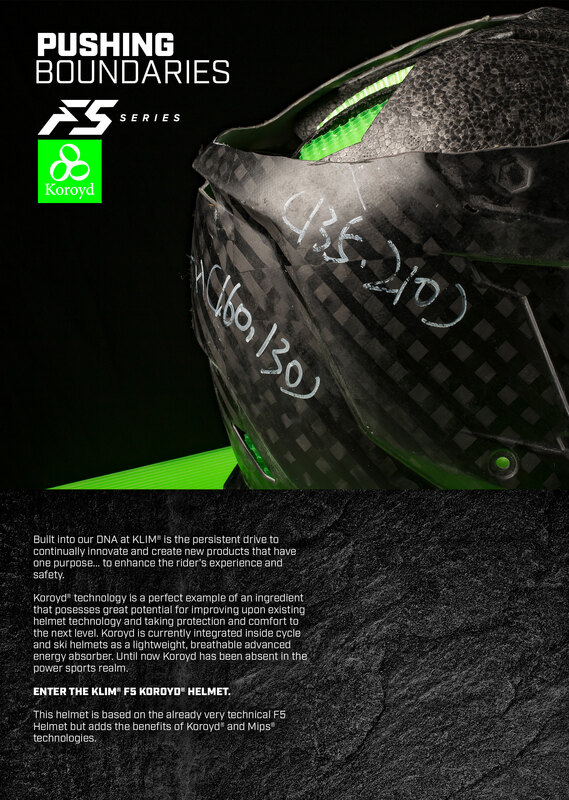 Challenging long-held industry methods, the F5 is leading the way in head protection technology and providing the best possible riding experience. 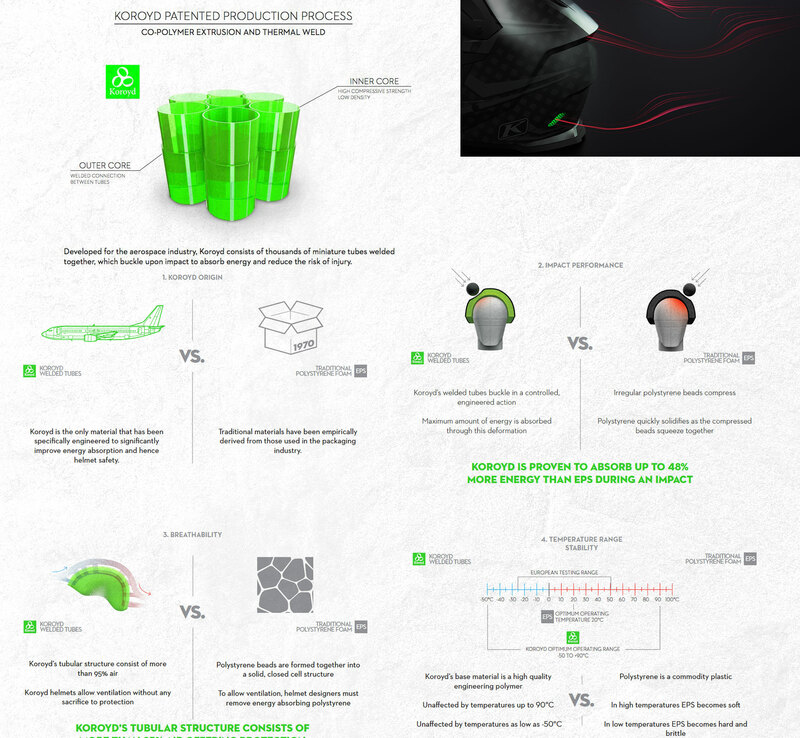 Koroyd® is a next generation energy absorbing technology, engineered with a unique structure which reduces trauma levels with innovative energy management properties. When impacted the Koroyd cores crush homogeneously, decelerating the energy from the impact and reducing final trauma levels. 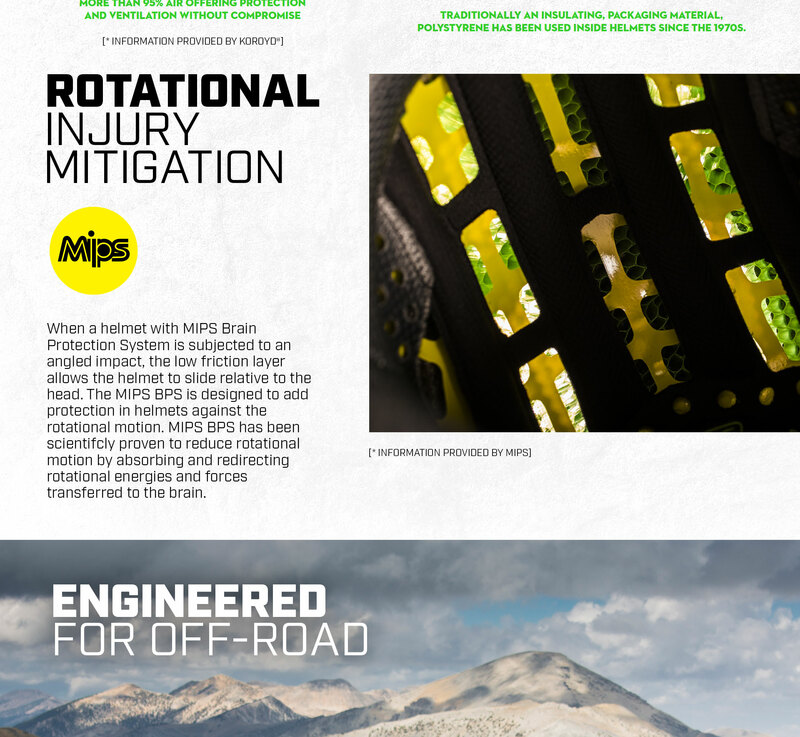 MIPS® brain protection system is a low-friction layer designed to reduce rotational motion transferred to the brain from angled impacts the head.